The first plots have now been released for sale at this development of 119 one to four-bedroom homes, located off Bramshall Road, which will form part of a larger community of 700 much-needed new homes to the west of the town. There are also plans for a new school, a local centre and employment space as part of the new neighbourhood. Bellway’s proposals, which also include a play area for children and public open space, were approved by East Staffordshire Borough Council earlier this year. Sales and Marketing Director for Bellway’s West Midlands division, Stephen Rose, said the development would help meet the demand for housing within the town, as well as providing new facilities for new and existing residents. He said: “We’re delighted to have released the first homes for sale at Bramshall Green. We have carefully considered the needs of local homebuyers in drawing up our plans for the development, so we’re confident that our range of properties offers something for everyone, whatever stage they are at in their lives. The first plots unveiled at Bramshall Green include two-bedroom starter homes, priced from £174,995, and a choice of three-bedroom designs from £205,250. Further three and four-bedroom houses will be released for sale at a later date. Bramshall Green is the latest development which Bellway West Midlands is building in Staffordshire. Homes are also under construction at Barley Fields in Tamworth, Mallard Walk in Stafford, Barton Manor in Barton-under-Needwood and Sheasby Park in Lichfield. 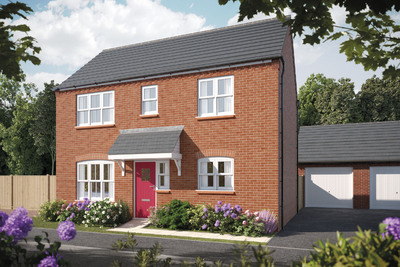 More information about the new homes now on sale at Bramshall Green is available from bellway.co.uk.